Reclaim control over weight loss, inflammation, and your spiritual and emotional health. 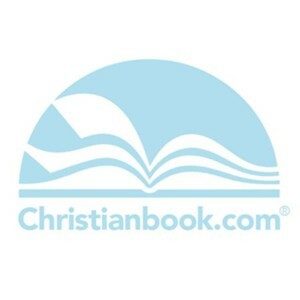 By incorporating the time-tested advice from five of his best-selling Bible Cure books into one volume, Dr. Don Colbert provides you with a more comprehensive look at the possible culprits behind your weight gain. 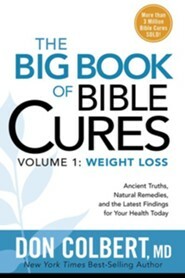 The Big Book of Bible Cures, Volume 1: Weight Loss combines the powerful tools and findings previously published in The Bible Cure for Weight Loss and Muscle Gain, The Bible Cure for Thyroid Disorder, The New Bible Cure for Diabetes, The Bible Cure for Candida and Yeast Infections, and The Bible Cure Recipes for Overcoming Candida. Don Colbert, MD, is board-certified in family practice and anti-aging medicine. He has also received extensive training in nutritional and preventative medicine, and he has helped millions of people to discover the joy of living in divine health. In addition to speaking at conferences, he is the author of two NEW YORK TIMES best-selling books: The Seven Pillars of Health and Dr. Colberts "I Can Do This" Diet, along with best sellers Toxic Relief, the Bible Cure series, Living in Divine Health, and Stress Less. He has sold more than TEN MILLION books and treated over fiftythousand patients in his more than twenty-five years of practicing medicine. I'm the author/artist and I want to review The Big Book of Bible Cures, Vol. 1: Weight Loss: Ancient Truths, Natural Remedies, and the Latest Findings for Your Health Today - eBook.